Don't leave your next physical computing project stranded in a world of black and white! This color senor module can detect the color of an object and report it back to your processor for applications like color sorting. The great thing about the HDJD-S822 is its simplicity to get it up and running. The gain of the sensor is controlled by digital input pins and it gives you separate analog outputs for red, green, and blue channels. 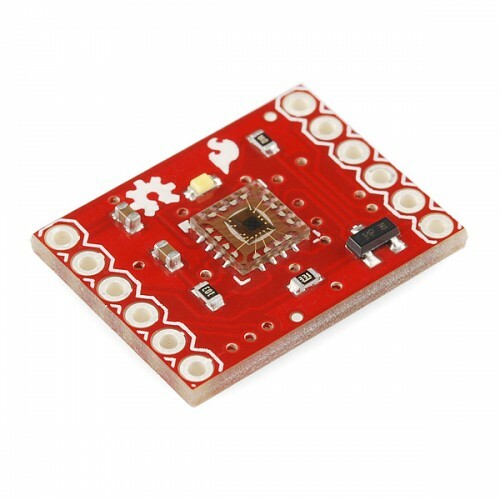 This breakout board makes it easy to embed the HDJD color sensor in your next project by breakout out all of the necessary pins to standard 0.1" headers.